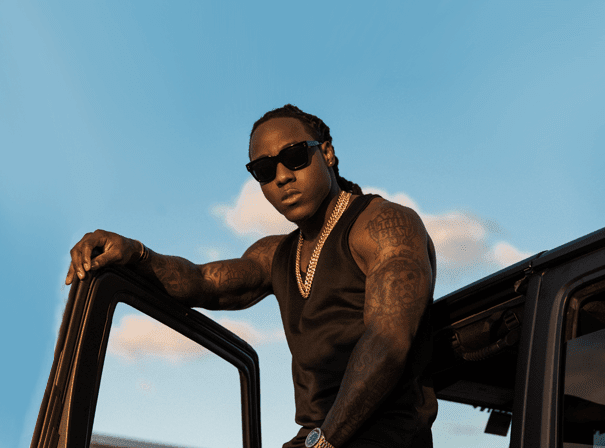 Ace Hood is the Florida rapper behind ‘Bugatti’, ‘Top of the World’ and ‘Hustle Hard’. He has released four albums, each more popular than the last. His most recent are Blood, Sweat & Tears and Trials & Tribulations. The rapper has worked with many of hip-hop and R&B’s biggest artists including Chris Brown, T-Pain, Rick Ross, Lil’ Wayne, Talib Kweli, The Game, Future and Meek Mill. He also appeared on three tracks on DJ Khaled’s fifth album We the Best Forever. In 2012, Ace Hood signed with Cash Money Records and he released the mixtape Starvation 2 in 2013. After that underground success, Ace announced his fourth album Trials & Tribulations and released its lead single ‘Bugatti’ featuring Rick Ross and Future and produced by Mike Will Made It. The song was popular on the hip-hop chart and began to scale the main Billboard. A remix of ‘Bugatti’ came out later featuring the original trio as well as DJ Khaled, T.I., Birdman, Wiz Khalifa, 2 Chainz and French Montana. The Trials and Tribulations album also featured appearances from soul singers Anthony Hamilton and Betty Wright. In keeping with tradition, Ace Hood’s next release was another mixtape, Starvation 3. Since then he has been dropping freestyles prolifically and touring hard, bringing his hit songs to the fans.